It is logical that we see some people bothered by the way they are treated by others, or by bad things that other people do to them. But some people have the courage to treat their offenders in a very intelligent and, in some cases, painful way. Take a look at this list of people who received their due. 25. 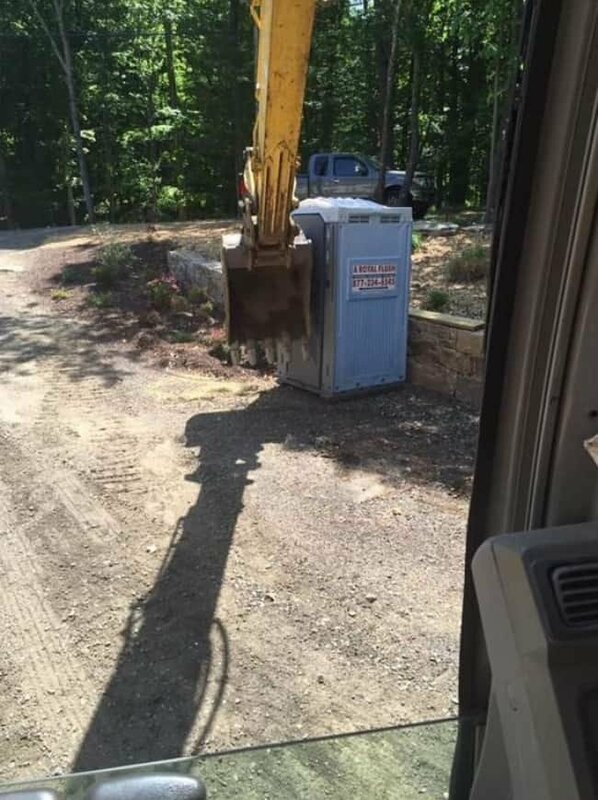 This guy was very rude when he refused to move his truck and shouted at the driver of this digging shovel ... It seems he will stay in the bathroom for a long time. 24. 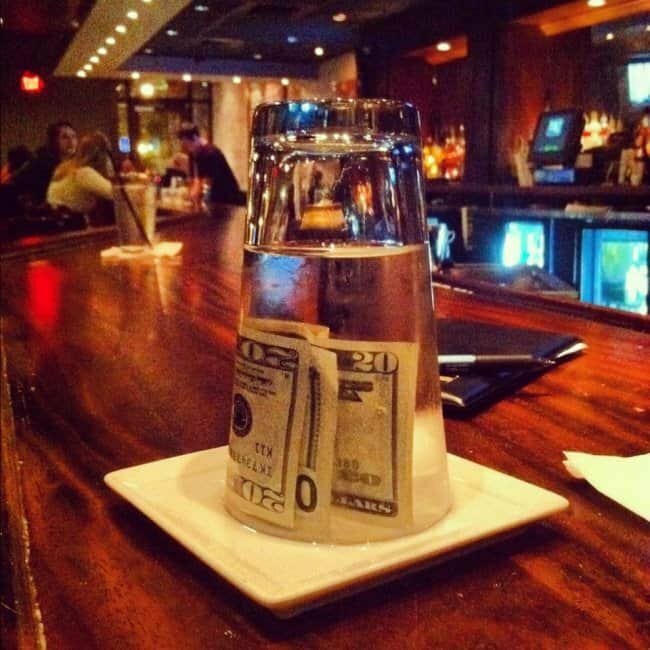 A very smart, and disastrous, way to pay the bill when you were treated rudely. 23. 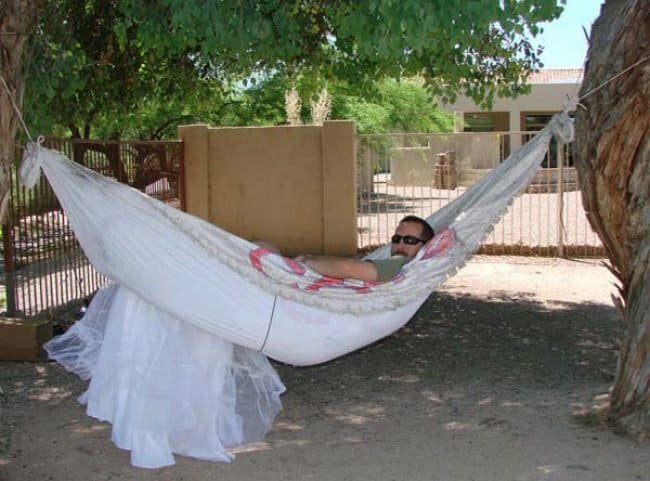 If your wife only leaves her wedding dress after taking everything away during the divorce, at least you should give it a good use. 22. 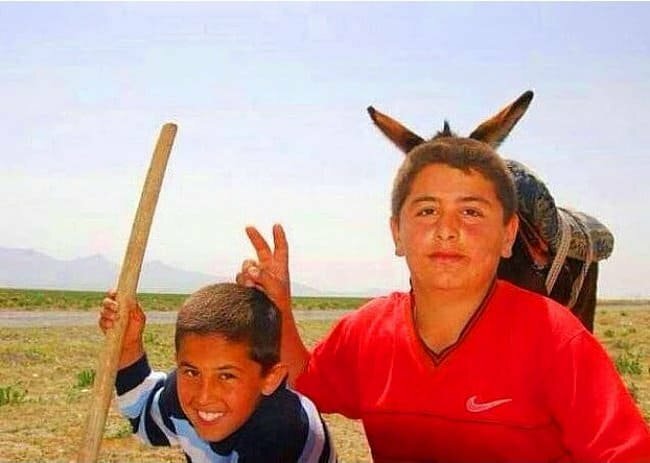 There is no better way to make rabbit ears to a person, the child is just an amateur doing the best he can. 21. 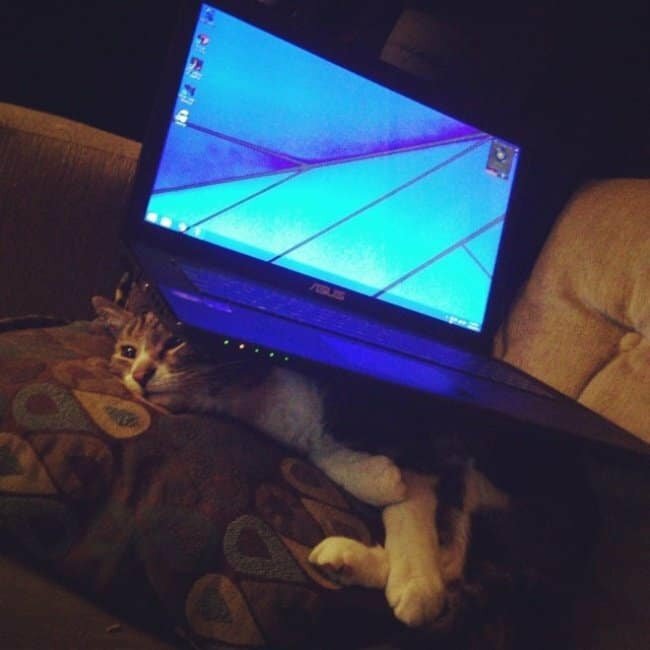 This is what happens when the computer gets tired of being trampled by the cat and decides to take his revenge. 20. This is called an intelligent and vengeful cat, only God knows what he will have suffered to get to this extreme. 19. 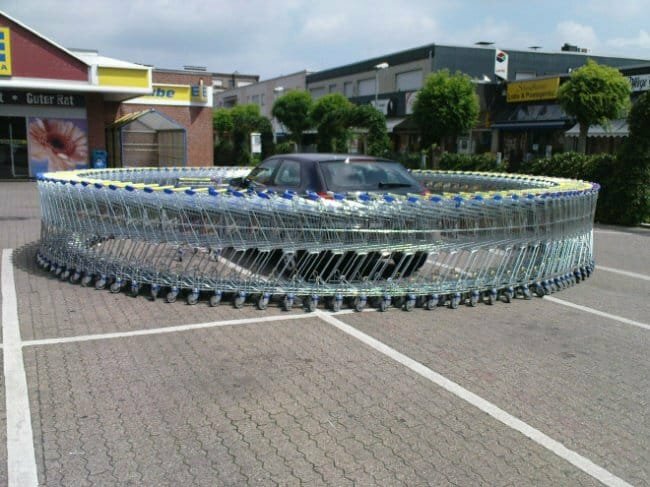 The driver of this car regrets having taken more than one parking space and swears he will never do it again. 18. 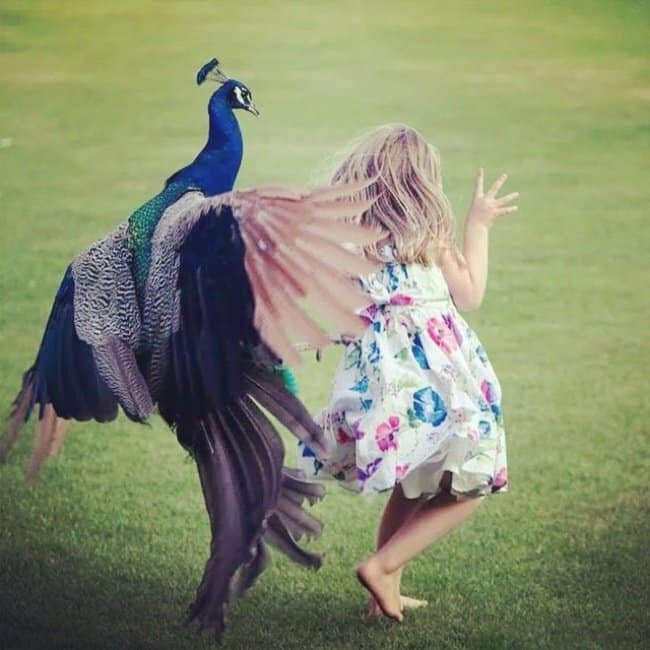 If there is a life lesson that you should learn, it is never to bother and provoke a peacock, they are really evil when they want to be. 17. 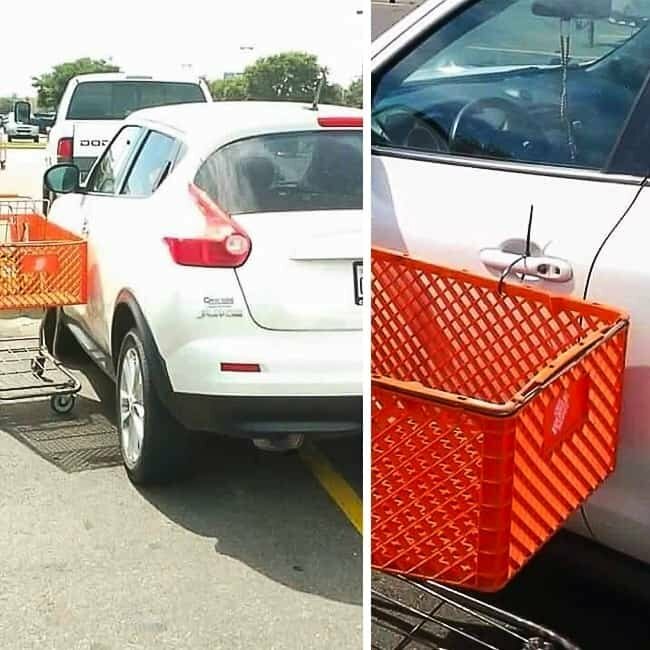 If you decide to behave like an idiot in the parking lot, you will always find a person willing to make you pay. 16. 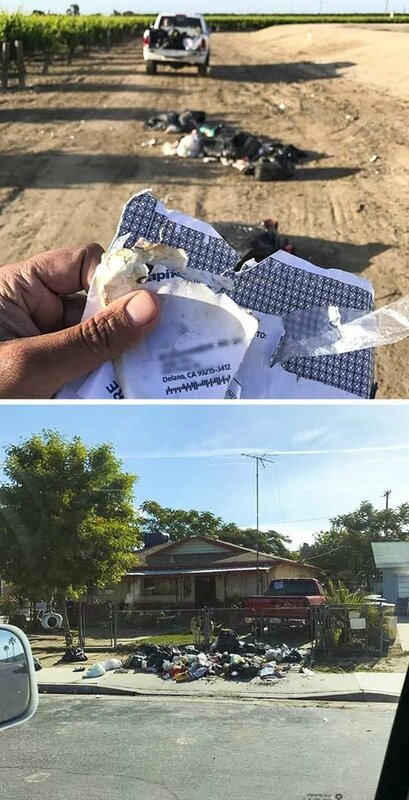 This driver found lots of garbage thrown on the street and decided to find his owner to do him the favor of returning it to him. 15. From what we have seen so far in the images, people who park badly are the preferred target of vengeful people. 14. 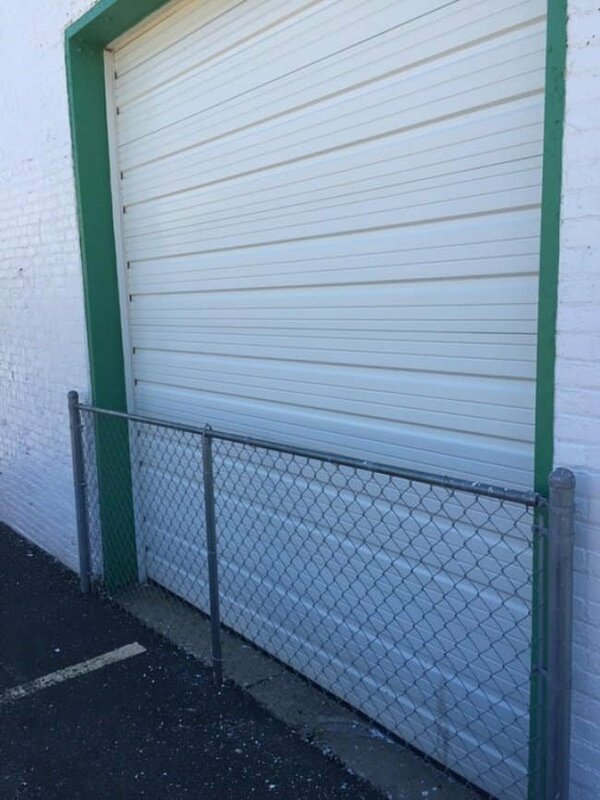 You must have done something really terrible for your neighbor to decide that it is necessary to do this to you. 13. 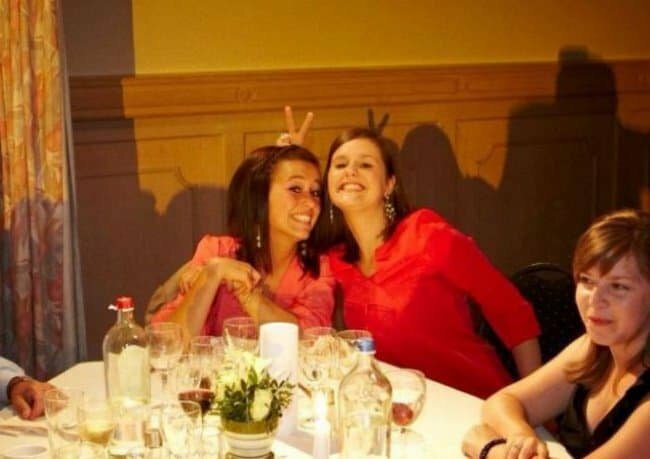 Karma chases people who deserve it, she will think twice before trying to ruin another photograph of her sister. 12. 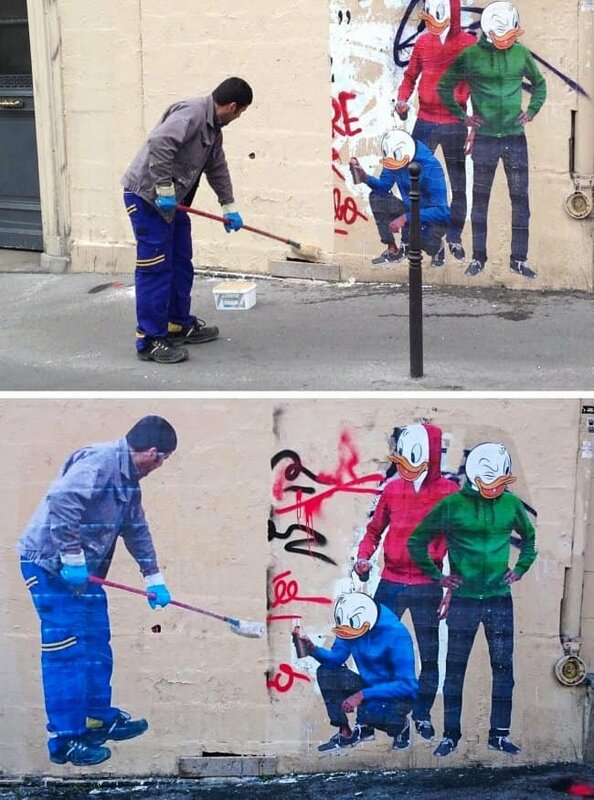 This happens to people who decide to ruin other people's artwork, you become a model for a street artist. 11. 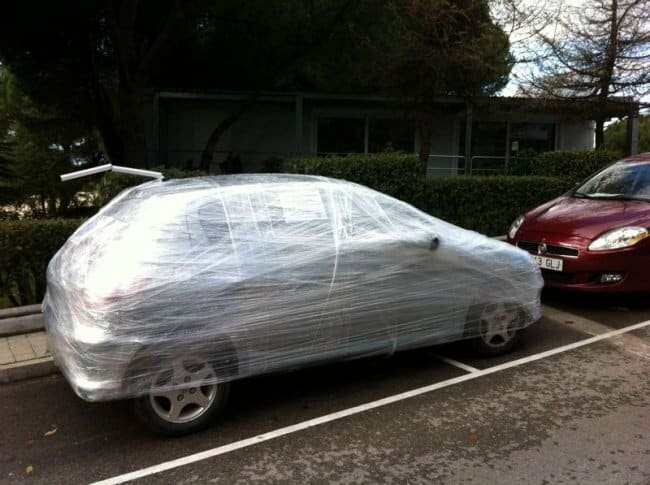 Seriously, people should learn to park properly to avoid that someone wraps their vehicle like a sandwich. 10. 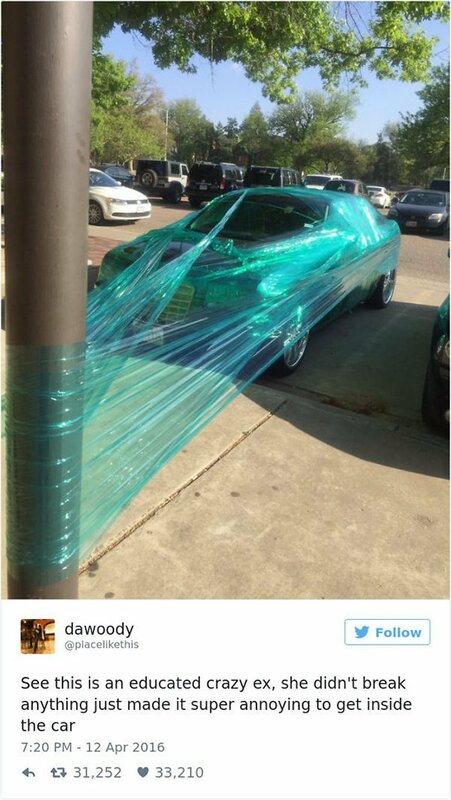 Or, as in the previous case, suffer the very polite revenge of a decent ex-girlfriend who wants to make you suffer, but does not want to destroy your car. 9. 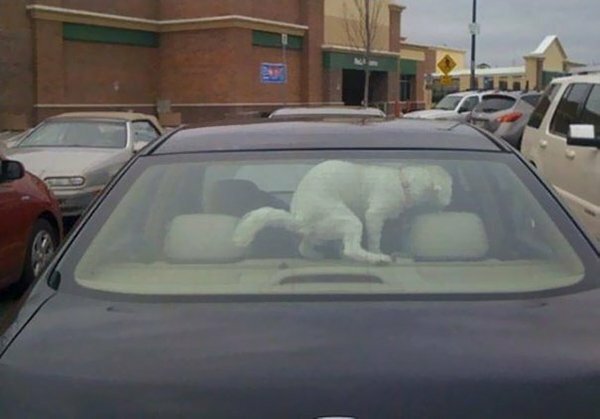 This is exactly what people who decide to leave their dogs locked in the car under an inclement sun deserve. 8. 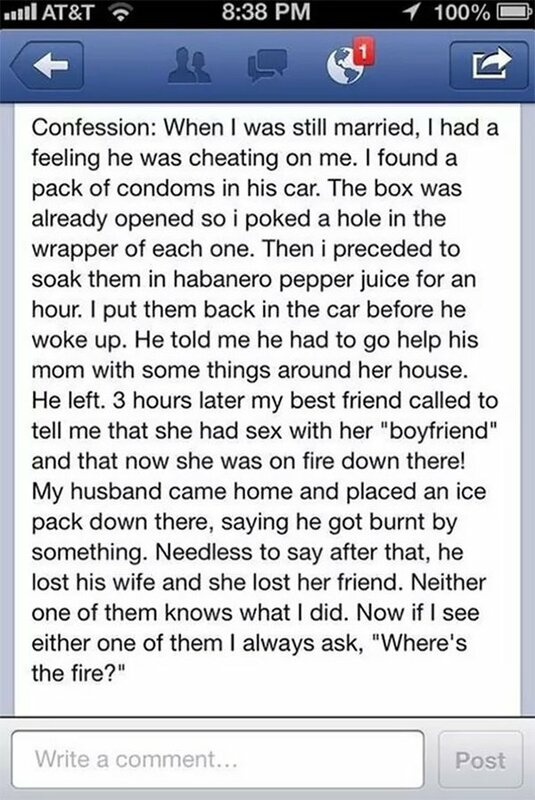 It's a long story, but it's worth reading. When will the ex-wife realize that it is time to change the heating system? 7. Some people are too rude! If you're not with him, get your own subscription and do not complain if something like this happens to you. 6. If you do not commit enough in a relationship so as not to cheat, why are you going to commit to getting a couple's tattoo? 5. 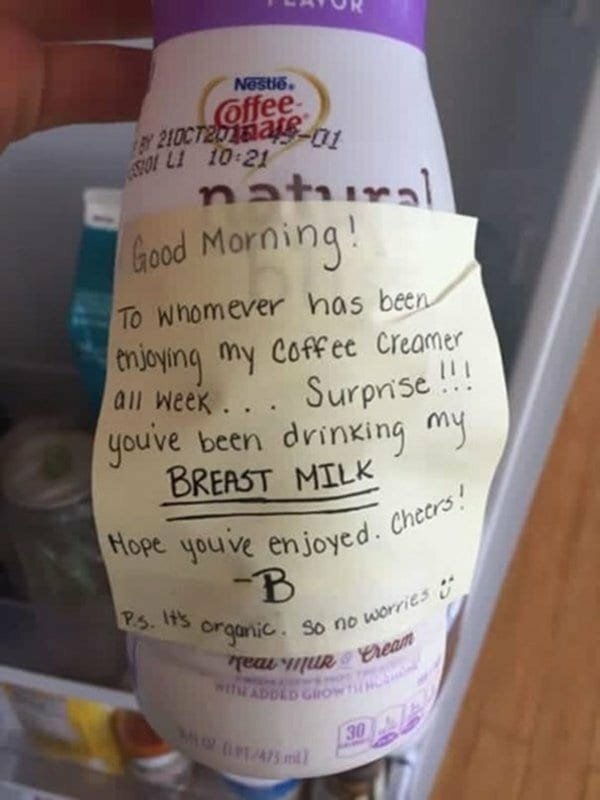 We can only imagine the face of the thief while reading the note! 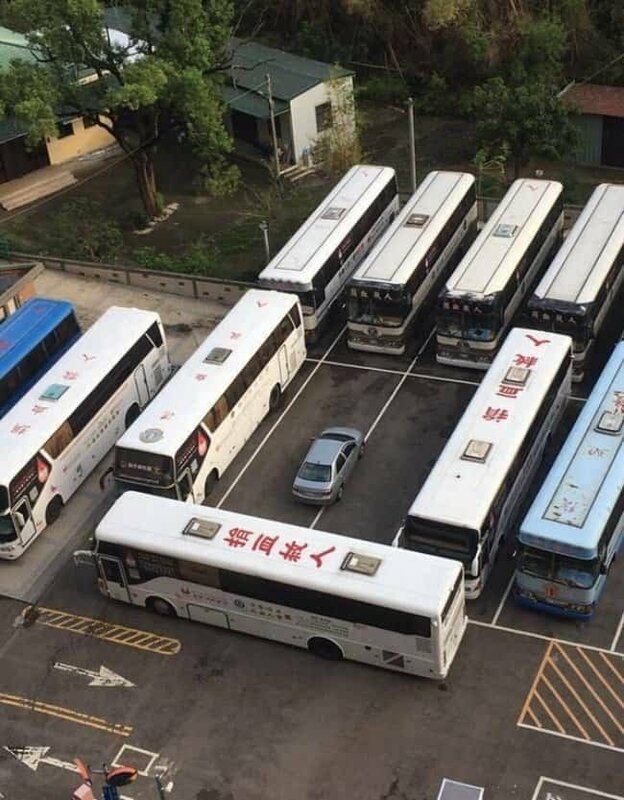 He may think it twice before stealing again. 4. This is what happens when you tell your wife that she is only good to make a sandwich. The last person you should offend is your wife! 3. There are people who have no shame. If you want to act as if you were single, why are you still in a relationship? 2. The treacherous people always get what they deserve, and this girl knew exactly how to make them regret what happened. 1. The second joke was definitely better than the previous one. Also, it's a great way to get a person paranoid. There are people who deserve this kind of situation, although there are some victims who can exaggerate their reaction. 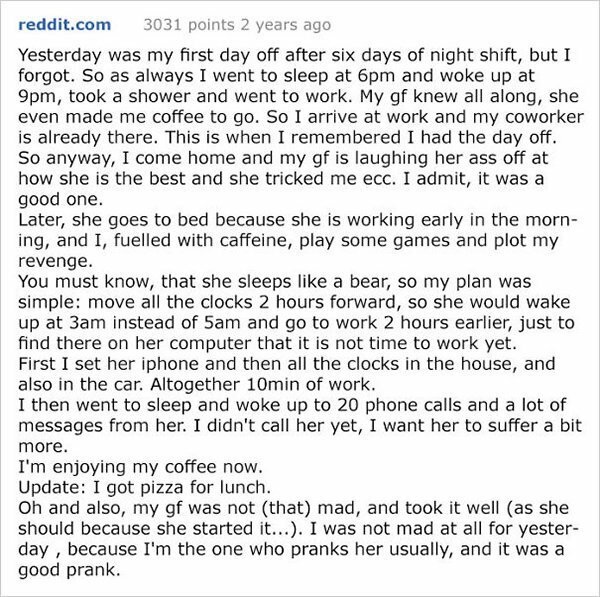 Revenge will never be the right path, but if you're going to take revenge, at least look for some ingenious and Machiavellian way like the ones we present in this list of very well executed revenge.